Russian bath - the notion of elongation. And downwards too. 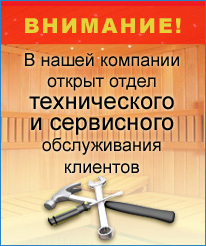 If you have a small sauna and parilochka of force in ten cubes to double - three poparitsya, what place there oven? Odolevayut thoughts and doubts. Not often is building a sauna, not every day? JEx, once lived, could lbuckets money, and buy won the one boor, "Kalin" or how there yet? According to the principle: "Kashu oil". But as in the soup should be as much salt as necessary, and heat in the sauna need to measure. In the measure does not necessarily mean little. For your sauna and was coined this oven. She such as the need to create a good pair of small steam bath. To all in mind, to get the most points, most in the top ten. The traditional location of the chimney in the center of the furnace several simplifies installation work. Deep-intensive harden the central heater produces heat exchanger different pairs. Built tank quickly heats the water to a boil. Water consumption offset podlivaniem in a broad neck.